McDOUGALL, WILLIAM, lawyer, newspaper owner, journalist, politician, and office holder; b. 25 Jan. 1822 in York (Toronto), son of Daniel McDougall, a farmer, and Hannah Matthews; m. first 3 May 1845 Amelia Caroline Easton (d. 1869) in Hogg’s Hollow (Toronto), and they had eight sons, six of whom survived infancy, and three daughters; m. secondly 18 Nov. 1872 Mary Adelaide (Minnie) Beatty (d. 1934) in Cobourg, Ont., and they had three sons; d. 29 May 1905 in Ottawa. Three factors in William McDougall’s formative years provided bearings by which he would navigate the tortuous path of his public life. First, his family valued education as elemental to its loyalist and Scottish heritage. Raised on a farm on Yonge Street north of York, William attended school in Toronto before entering Upper Canada Academy in Cobourg on 3 Nov. 1840. From this remarkable Methodist school, which became Victoria College in 1841, McDougall gained an advanced liberal education. After 1838 its board looked to an American model of practical and modern education, as practised at Wesleyan University (Connecticut), Girard College (Pennsylvania), and the Methodist academy at Cazenovia, N.Y. Several graduates of these schools were appointed to teach skills appropriate to business and communication in the Victorian world. In particular, public speaking and expository writing, as well as an awareness of the modern progress of science, would give shape to McDougall’s career. The second factor affecting McDougall’s later politics was a powerful personal experience of the progress of liberty. Having witnessed the burning of Montgomery’s Tavern north of Toronto during the rebellion of 1837 [see William Lyon Mackenzie*], he often recalled the rebels’ escape in terms of the northward advance of freedom against the rule of entrenched oligarchies. (The direction of that movement would become a crucial factor in his expansionist ideology.) As a political conversion, the episode underscored his liberal political views and his unquestioning faith in the inevitability of their success. Thirdly, McDougall emulated the practical politics of Toronto lawyer James Hervey Price*, in whose office he undertook legal studies after leaving Victoria College, probably in 1841. 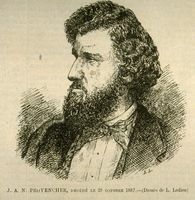 A reformer who promoted the interests of his agrarian clients, Price supported measures that would later form part of the platform of the Clear Grit faction of the reformers: vote by ballot, freer landholding laws, secularization of the clergy reserves, and elective democratic institutions. McDougall helped to develop these aspects of the platform while his mentor was commissioner of crown lands in the second Baldwin–La Fontaine ministry (1848–51). Moreover, he shared Price’s early ambivalence toward party politics, as an expression of independence, and this ambivalence ensured the ultimate exclusion of both as outsiders, embittered and unappreciated for their political efforts. 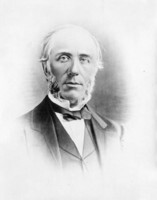 McDougall was admitted to practise as an attorney and solicitor in 1847; he entered into partnership in Toronto with Ambrose Gorham, a fellow student. His legal career, however, served mainly to finance his ambition to disseminate his ideas through journalism. 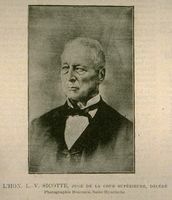 In 1847, with Charles Lindsey, he established the Canada Farmer, a weekly devoted to agricultural improvement, science, and literature. The following year McDougall merged it with William Graham Edmundson*’s British American Cultivator to form the Agriculturist & Canadian Journal. 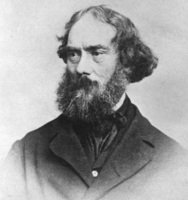 George Buckland* joined McDougall in 1849 to transform that paper into the Canadian Agriculturist, which was intended more pointedly to promote agriculture and colonization. In this pursuit, science was used to transcend party politics and provide a bridge to a higher goal, “the mastery of the Globe.” The word “Canadian” in the journal’s title expressed the owners’ desire “that the work should assume a distinct and national character.” In 1850 McDougall and Buckland worked through the Agricultural Association of Upper Canada to establish the Board of Agriculture of Upper Canada. The legislation, written by McDougall, defined it as a popular and responsible council mandated to assess and improve, through education and organization, the agricultural resources of the country. The Clear Grit movement included both older and younger reformers eager to democratize Canadian politics beyond the whig assumptions that defined responsible government under Robert Baldwin* and Louis-Hippolyte La Fontaine*. Clear Grit principles sprang from British Chartist and Benthamite as well as American democratic roots, through spokesmen such as Charles Clarke, Charles Lindsey, David Christie*, Peter Perry*, and Malcolm Cameron*. Clarke and McDougall, in particular, strove to adapt these traditions to the requirements of the Upper Canadian political environment. Drawing upon American experience, the movement organized local political conventions in 1850, according to McDougall to “roll the country down to the level of a common sense democracy” that would give “the people” a “direct check” upon the “humbug” perpetrated by the reform leadership of the time. In February 1851 the North American published the Clear Grit platform, which included elective institutions, extension of the franchise, vote by ballot, representation by population, retrenchment, and parliamentary responsibility for public expenditures as well as trade and commerce. In addition to these long-term goals, the Clear Grits drew others from the American example as “subjects for immediate legislation”: simplification of legal proceedings, sale of public lands, uniform decimal currency, secularization of the clergy reserves, abolition of legislated privileges to religious bodies, public grants to improve agriculture, and improvements in public works to raise revenue. McDougall accorded higher priority to these goals than to the principle of political solidarity. By the mid 1850s McDougall was transforming himself from a journalist to a politician. In 1854 he failed to win a Reform seat in either Wentworth North or Waterloo; by 1855 he could no longer afford to run the North American against a growing number of semi-weekly competitors. 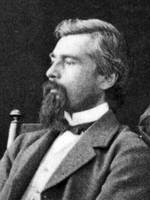 He therefore sold it to Brown in February 1855 and joined the Globe as a political writer. Issues such as the bill on Upper Canada’s separate schools, which passed on the strength of Lower Canadian votes [see Sir John A. Macdonald*], helped to unite Brownite, Hincksite, and Clear Grit Reform factions under the banner of representation by population. 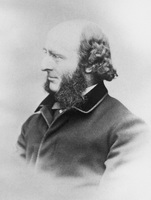 He served in January 1857 as a secretary to the Reform Convention in Toronto, which established another important goal, one promoted by McDougall since the earliest issues of the North American: “the incorporation of the Hudson’s Bay [Company] Territory as Canadian soil.” In the election that began late in 1857 McDougall again failed to secure a seat in the Legislative Assembly, for Perth. The following year, having closed down the Canadian Agriculturist, he was finally elected to the assembly, for Oxford North, the seat recently vacated by Brown. 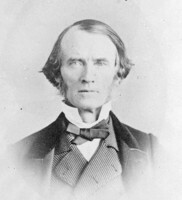 At the Reform Convention of 1859 McDougall not only became secretary to the Constitutional Reform Association, but he also revealed statesmanlike qualities by putting forward the compromise resolution that sustained Brown’s proposal for a federal union of Upper and Lower Canada as a solution to the province’s constitutional quandary. None the less, the following year McDougall left the Globe in a dispute over the proper path toward constitutional reform. This disagreement did not reflect simply a clash of outlooks. McDougall’s deep eccentricity as a politician lay in a romantic vision dampened by aloofness and cynicism, in ambition deadened by a reluctance either to lead or to follow. These contradictions frustrated his colleagues when he permitted them to overshadow his highly logical intelligence and excellent oratorical skills. 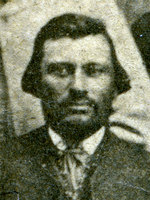 He earned both a professional reputation for unreliability as “Wandering Willie” and considerable personal animosity. McDougall’s deficient sense of appropriateness caused him needless political trouble. For example, in April 1861 he lost his equanimity in debate while explaining his intention to protect the rights of the populations of both sections of the province. His doubly offensive threat to “look to Washington” to rescue Upper Canada from “the control of a foreign race, and of a religion which is not the religion of the Empire” had to be withdrawn before he could win re-election a few months later. From this position McDougall laid further groundwork for Canada’s northwestward expansion, revealing in the process his presumption regarding indigenous peoples. His department, staffed with expansionists like himself, opened tracts of land in the northwestern part of the province, as well as a colonization road to Parry Sound. It sold off crown lands, with the expectation that farms would be developed. 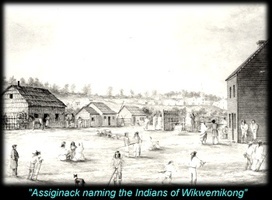 McDougall also presided over the repossession of reserves on Manitoulin Island, on the pretext that, since these lands had not been put to agricultural use, they obstructed further settlement [see Jean-Baptiste Assiginack*; George Ironside*]. This reversal of the policy of maintaining reserves distant from settlement, intended to protect indigenous culture from encroachment, broke faith and bred resentment. A mid Victorian intent on smoothing the way for “progress,” McDougall employed a righteous paternalism in his dealings with non-Europeans. 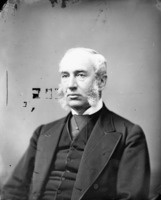 Returned for the riding of Ontario North in 1863, McDougall continued as commissioner of crown lands, through the Sandfield Macdonald–Dorion ministry, to 29 March 1864. 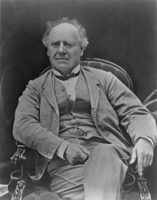 On 22 June he joined Oliver Mowat in following George Brown across the floor of the assembly to form the “Great Coalition,” which proposed to break political deadlock through a confederation of British North American colonies. 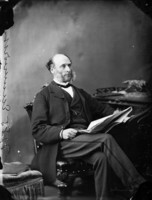 McDougall entered the government on the 30th as provincial secretary for Upper Canada, only to be defeated by Matthew Crooks Cameron* in a by-election on 30 July, at least partly because he had abandoned rep by pop as no longer practicable. On 4 November he regained a seat, Lanark North [see Robert Bell*], and continued as provincial secretary. 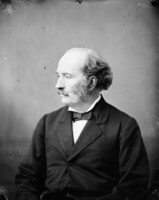 McDougall participated in the formulation of the terms of confederation at the Charlottetown, Quebec, and London conferences, but failed to enshrine his conception of an elective upper house. During the confederation debates in 1865 he expressed impatience with detailed discussion since the proposed escape from the legislative union of 1841 seemed to him both self-evident and inevitable. Although Brown left the coalition in 1865 over the question of renewing the Reciprocity Treaty of 1854, McDougall and William Pearce Howland remained. In 1866 McDougall chaired a commission to open trade relations with the West Indies, Mexico, and Europe; from July 1866 he also served as “acting minister of the marine,” with responsibility for gunboats during the Fenian disturbances. 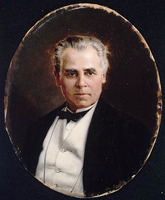 For his contribution to confederation McDougall was created a cb on 1 July 1867 and became minister of public works in the cabinet of Sir John A. Macdonald. In the new dominion’s first general election he was returned in Lanark North. At the Reform Convention in June he had bravely confronted open rebuke by Brown as a traitor for his refusal to leave the coalition in 1865. Still, his inclusion in a Conservative cabinet in 1867 was not an easy fit. He was apparently alone in considering the political system of the new dominion a “tabula rasa” free of old divisions, its constitution simply a new “machine” that needed working, and himself a free agent within that structure, dedicated only to his own political goals. The most immediate of these goals was Canada’s transcontinental expansion, to which McDougall now committed himself. In December 1867 he steered through the House of Commons a series of resolutions for the incorporation of Rupert’s Land by the dominion, and the extension of Canadian jurisdiction towards the Pacific. 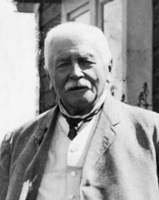 He appealed to the past, including the United States’ successful territorial expansion and Canada’s peaceful negotiations with its indigenous peoples, and to scientistic assessments of the west, including reports from the expeditions of John Palliser* and Henry Youle Hind on the fertility of the land. McDougall attributed to this plan the force of natural law: “If we did not expand,” he warned, “we must contract.” In 1868 he accompanied Sir George-Étienne Cartier* to London to negotiate the transfer of the HBC territory to Canadian title, effective 1 Dec. 1869. And as minister of public works he took practical steps to realize the plan, initiating, for instance, the construction of a road from Lake of the Woods to Upper Fort Garry (Winnipeg) [see John Allan Snow*]. Knowledge of McDougall’s nationalistic vision and his links to Charles Mair* and the aggressive Canada First movement [see William Alexander Foster*] preceded him to the Red River settlement (Man. ), where like-minded easterners, such as John Christian Schultz*, had already formed the nucleus of a Canadian party. Not surprisingly, the Métis population and others in the territories resisted in 1869 when a team of Canadian surveyors, led by McDougall’s former schoolmate John Stoughton Dennis*, superimposed a grid system upon traditional landholding patterns [see Louis Riel*]. McDougall, his council, and an entourage including his children arrived at Pembina (N.Dak.) virtually unarmed on 30 October. 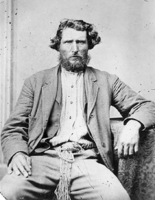 On 2 November the Métis prevented McDougall’s entry into Red River to declare Canadian sovereignty. 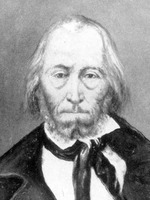 Macdonald, infuriated by McDougall’s failure to try to conciliate the Métis, shifted responsibility to the HBC by postponing the process of transfer until order could be restored. The measure rendered illegal McDougall’s proclamation annexing Rupert’s Land to Canada. Shocked by this unexpected withdrawal of his authority, McDougall returned to Canada feeling betrayed by the government’s “act of unpardonable folly” and embittered by his Clear Grit outlook that progress had again been detained by reactionary cultural forces which had once held back Upper Canada. 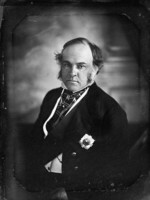 Demanding force in a situation where he, uninformed and without protection for his children, had been left helpless, McDougall placed particular blame for his humiliation on Joseph Howe*, the secretary of state for the provinces, who had failed to warn him of the troubles at Red River. 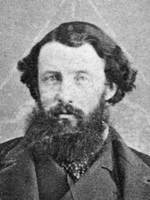 The following year McDougall objected to the full provincial status accorded Manitoba. 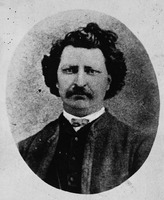 After serving on the commission of 1871–72 to settle the boundary between Ontario and Manitoba, McDougall contested but lost his seat in Lanark North in the election of 1872. In 1873, on behalf of the federal government, he travelled to Britain and Europe as a commissioner for fisheries and immigration. 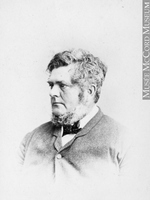 Defeated as a Conservative in the provincial election of January 1875 in York East, he entered the Ontario legislature as an independent Liberal in a by-election in Simcoe South in June. 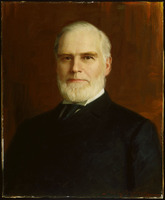 In September 1878 he resigned to take the federal riding of Halton as a Conservative supporter of the National Policy. He expressed disappointment at his exclusion from the cabinet position he thought this support merited. 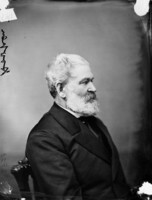 McDougall moved to Ottawa in 1880. He had resumed the practice of law about 1876, when he formed the firm of McDougall and Gordon, and he continued to practise occasionally as a special adviser in the capital; in 1881 he was created qc. 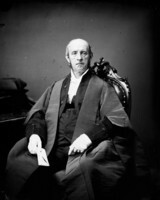 Venturing into the debate over provincial rights, in the famous case of Mercer v. Attorney General for Ontario (1881), he opposed the province’s claim of implicit sovereignty. 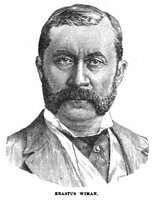 Although “still a poor man” in 1881 according to John Charles Dent*, McDougall declined a judgeship and the lieutenant governorship of British Columbia that year. In the election of 1882 he ran not in Halton but as a Liberal in Algoma. He was defeated by Simon James Dawson, who two years before had opposed McDougall’s support for Ontario in the ongoing boundary dispute. Running again as a Liberal in 1887, this time in Grenville South, he again suffered defeat. He subsequently advised Wilfrid Laurier* to fight Macdonald’s National Policy with “commercial reciprocity.” In yet another apparent turn-about, in the early 1890s, McDougall, in exchange for the promise of a senatorship, worked with the Conservatives in an effort to discredit journalist Edward Farrer*, who had stirred up a controversy over American annexation of Canada. In 1890, at the age of 68, McDougall had seriously injured his spine when he stepped from a moving train in Cobourg. Relegated to the sidelines, he occasionally regretted straying from the “elysian fields [of agricultural improvement] into the slough of party politics.” Yet this transition had seemed to him a natural progression, justified by his conviction that no “greater, nobler, higher task was ever committed to the public men of a country than that which fell to the members of the Quebec convention of 1864.” As a result, he reflected in his unpublished memoirs, “what people or nation, in ancient or modern times, has been able to show, in the first decade of its existence, such magnificent boundaries?” The bitter irony of McDougall’s life was the frequent tension between his firm grasp and eloquent formulation of the dynamic ideas underlying such important achievements and his personal failings as a participant in their realization. He died after a “long and trying” illness in 1905, leaving virtually no estate to his family. William McDougall is the author of An open letter to the Hon. H. Mercier on the federalism of the federal constitution (Toronto, 1887). Several other pamphlets by him are listed in Canadiana, 1867–1900 and the CIHM Reg. AO, F 21; F 23; F 26; F 36; F 70; F 117. NA, MG 26, A; F; G; MG 27, I, C6. UCC-C, Victoria Univ. Arch., 87.143V, no.2. North American (Toronto), 1850–55. Can., House of Commons, Debates, 1867–82; Parl., Sessional papers, 1870, no.12. Can., Prov. of, Legislative Assembly, App. to the journals, 1858–59; Parl., Sessional papers, 1860–66, esp. 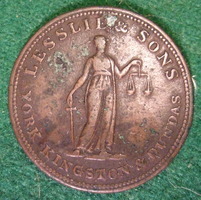 1863, nos.5, 63. J. M. S. Careless, Brown; The union of the Canadas: the growth of Canadian institutions, 1841–1857 (Toronto, 1967). Charles Clarke, Sixty years in Upper Canada, with autobiographical recollections (Toronto, 1908). Dent, Canadian portrait gallery. W. L. Morton, The critical years: the union of British North America, 1857–1873 (Toronto, 1964). “Parl. debates,” 1858–66. G. W. Ross, Getting into parliament and after (Toronto, 1913). Norman Shrive, Charles Mair, literary nationalist (Toronto, 1965). Stanley, Birth of western Canada. AO, RG 80-5-0-7, p.18. Church of Jesus Christ of Latter-day Saints, “Montana, county marriages, 1865–1950,” George H. Macdougall and Sara Berger, 16 Aug. 1893: www.familysearch.org (consulted 8 Sept. 2015). Library and Arch. Can. (Ottawa), R233-30-3, vols.49–157, Can. West (Ont. ), dist. York (county) (42), subdist. York (402): 280; vols.271–462, Can. West (Ont. ), dist. Toronto, subdist. St Andrew’s Ward: 382; R233-34-0, Ont., dist. Toronto East (47), subdist. St David’s Ward (C), div. 3: 7; R233-35-2, Ont., dist. Carleton (108), subdist. Nepean (A), div. 1: 130. Toronto Necropolis and Crematorium, Burial records, vol.02, 1857–63, line no.3650; vol.07, 1883–91, line no.12142. Ottawa Evening Journal, 18 Oct. 1910, 10 Dec. 1934. Suzanne Zeller, “McDOUGALL, WILLIAM,” in Dictionary of Canadian Biography, vol. 13, University of Toronto/Université Laval, 2003–, accessed April 24, 2019, http://www.biographi.ca/en/bio/mcdougall_william_13E.html.